Shop 4 Charity is the newest and most unique way of doing your online charity shopping and having charities benefit from this. 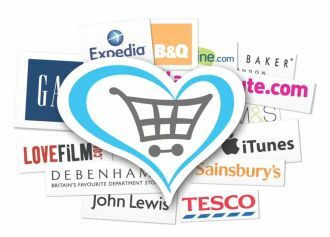 They create, maintain and deliver bespoke gift sites for charities to benefit from by having their own Shop4Charity white label site. The online business operates as an e-commerce site that sells more than 10,000 gifts, including licensed merchandise for the likes of Disney , Warner Brothers, Marvel and many more big names including one of the biggest selections of Licensed football gifts in the UK. Buy A Gift, Give A Gift. Shop4Charity is the simplest way of helping us raise funds and helping yourself at the same time. Everytime you buy a gift we will get significant percentage of that sale. We will use your funds to help support families from Wales who are caring for a Terminally ill Child/Young Person, providing them with a Free’ Holiday. A place where they can just be an ordinary family, enjoying special times together creating Precious Memories! You can visit our shop by clicking on the button below. Has a special offer, you will receive Free delivery, simply enter this code ITLMF16 on check out. If you have any questions please don’t hesitate to contact us by filling out the form below. Ieuan The Lion Memorial Fund values your support and promises to respect your privacy. The data we gather and hold is managed in accordance with the Data Protection Act (1998). We will not disclose or share personal information supplied by you with any third party organization without your consent.